The attempted coup against President Maduro may have failed so far but the jackals that instigated it have not given up their objective of forcing the majority benefiting from the Bolivarian revolution begun by President Chavez back to the misery the revolution is trying to save them from. The United States and its allied governments and media, working with American military and civilian intelligence services, are pumping out a constant flow of propaganda about the start of affairs in Venezuela to mislead and manipulate their own peoples so that they support their aggression and to undermine Venezuelans support for their revolution. 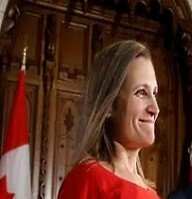 Freeland claims that the Lima Group meeting will “address the political and economic crisis in Venezuela,” yet it is Canada that, along with the United States that has created the very crisis they are using as a pretext to attack President Maduro. 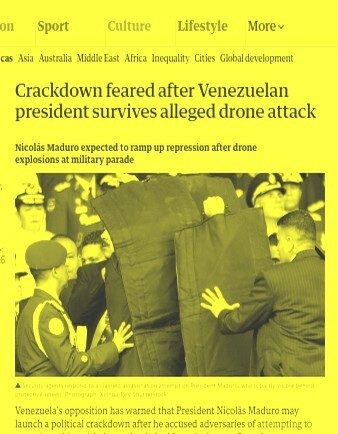 It is they that have tried to topple both him and Chavez through assassination plots, threatened military invasion and economic warfare that has the sole purpose of disrupting the social and economic life of Venezuela, of making life as miserable as possible in order to foment unrest while conspiring with internal reactionary forces. The US and Canada are now threatening the use of armed force against Venezuela. John Bolton stated that all options are on the table and has even threatened Maduro with imprisonment in the US torture chambers of Guantanamo Bay. The hypocrisy hits you in the face especially when some of the same nations in the Lima Gang recognised as far back as 1826 at the Congress of Panama the absolute prohibition of intervention by states in each other’s internal affairs. At the Seventh International Conference of American States held in Montevideo in 1933,The Convention on Rights and Duties of States, issued at the conclusion of the conference, to which the U.S. was a signatory, declared that “no state has the right to intervene in the internal or external affairs of another.” The legal position of the doctrine of nonintervention was solidified three years later at Buenos Aires with the adoption of the Additional Protocol Relative to Non-Intervention. This document declared “inadmissible the intervention of any of the parties to the treaty, directly or indirectly, and for whatever reason, in the internal or external affairs of any other of the Parties.” The U.S. government agreed to this treaty without reservation as well. That covert action is forbidden under the law of the U.N. is supported by the numerous resolutions passed by the General Assembly which assert the right to national sovereignty and the principle of nonintervention in general, while specifically condemning particular tactics used in covert action. By Resolution 2625 (XXV), the General Assembly adopted the “Declaration on Principles of International Law concerning Friendly Relations and Co-operation among States in Accordance with the Charter of the United Nations.” The Declaration had its origins with the first meeting of the Special Committee on the Principles of International Law held in 1964 in Mexico City. This document asserted seven basic principles of international law, then elaborated how these principles were to be realized. The seven principles embodied in the Declaration were: a) the principle prohibiting the threat or use of force in international relations; b) the principle requiring the peaceful settlement of disputes; c) the duty of nonintervention; d) the duty of states to cooperate with each other; e) the principle of equal rights and self-determination of all people;f) the principle of sovereign equality of states, and; g) the good faith duty of states to fulfill their obligations under the Charter. So, there you have it; the law. The world can see that the Lima Gang, who like to use the phrase “the rule of law” in their diktats to others, are committing egregious crimes under international law and together these crimes are components of the supreme war crime of aggression. The Lima Group therefore is a group of international criminal conspirators and the every individual involved is a war criminal. 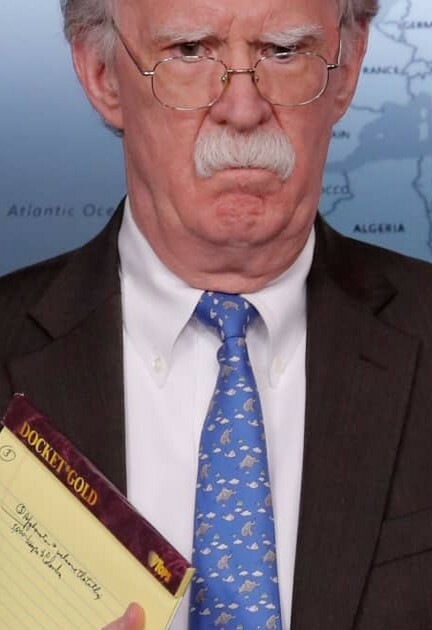 So when the Lima conspirators issue their press statement after the Ottawa meeting, planning aggression against Venezuela, calling for the overthrow, for the head of President Maduro and dressing it up in the usual language of the aggressor, of “human rights” and “democracy” and their fake and illegal doctrine of “responsibility to protect” it will not be issued by nations interested in peace or who have respect for international law but by a gang of criminals, of international outlaws.